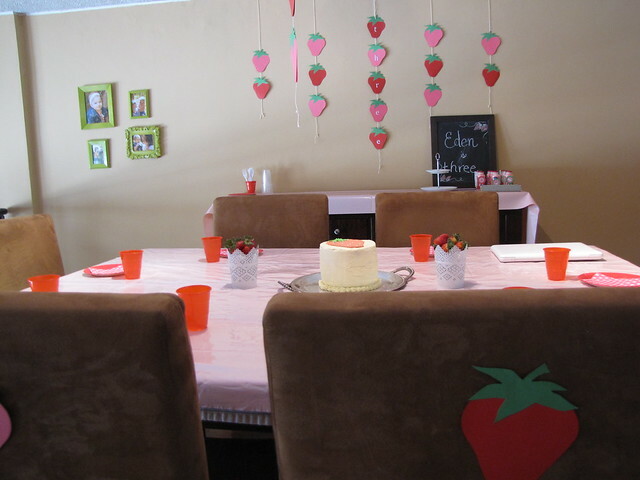 Months ago Eden and I came up with the Strawberry theme for her birthday party. I can't remember who suggested it but she was excited and I was excited about it. What I couldn't decide was whether to invite her whole nursery school class to this or not. It seemed dumb to create a big event for just a few friends (her non-school friends) but I also remembered the stress of catering to 45 people, many of whom were parents I didn't know well. 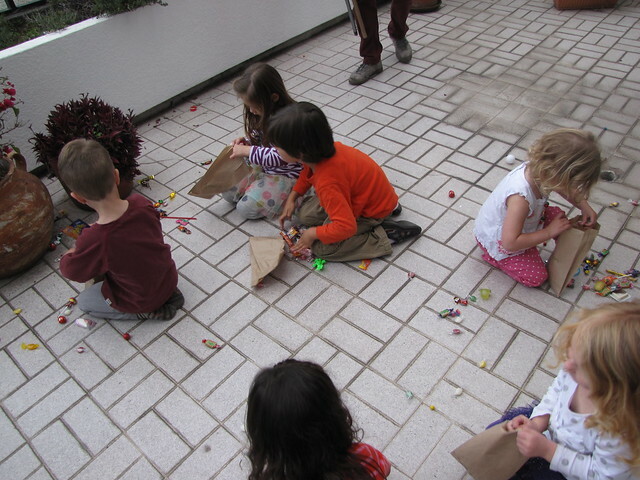 Ultimately I decided to do the mini party at her preschool and to go ahead and indulge in my love of the details, even if it was for a smaller group of friends. 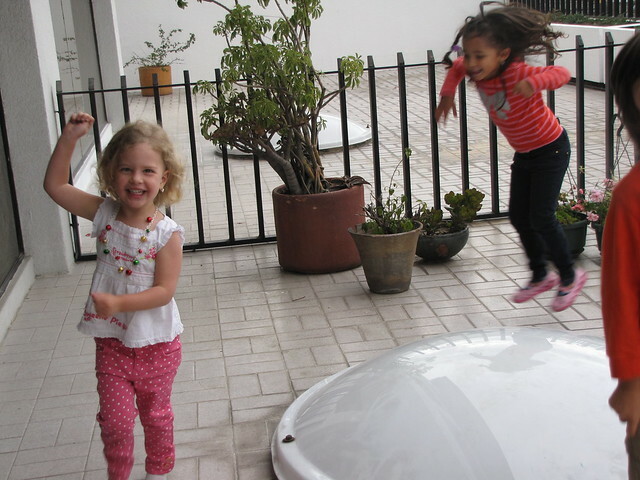 I'm really happy with that choice and I know Eden loved it too. I like clean lines and simple ideas so I pinned away on etsy and then bought some green, red and pink construction paper. 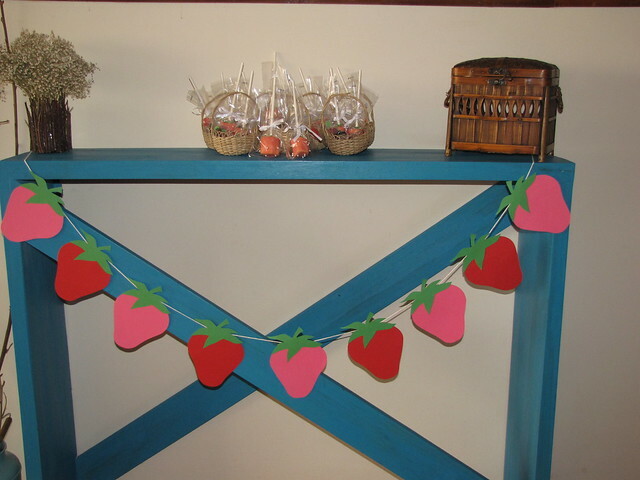 Hours watching Top Chef were devoted to cutting out strawberries for the wall backdrop, chairs, lights, and front entry way. 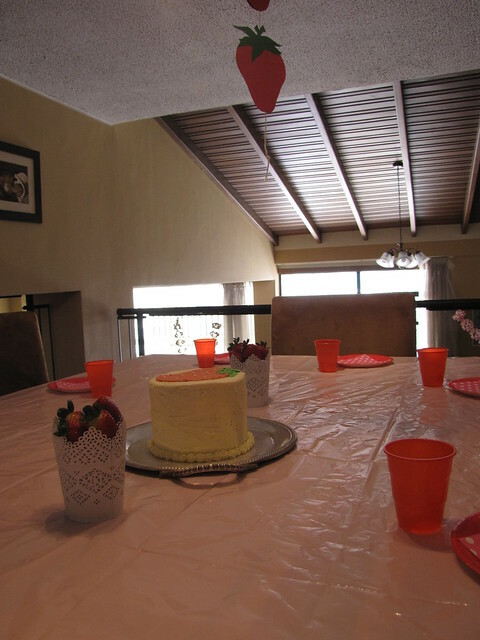 Using both pink and red from the start made things easy with no worries about color clashing. Fresh berries in little ikea white tin pots were natural touch and wicker baskets like you might find at a farm were filled with strawberry shaped candies and strawberry marshmallow pops that my supportive husband helped me dip and add pearls to one finicky pop at a time. The cake tends to be the last thing I decide on, but after consulting many ornate, fondant covered, or strawberry shaped replicas I opted for what must be my style. 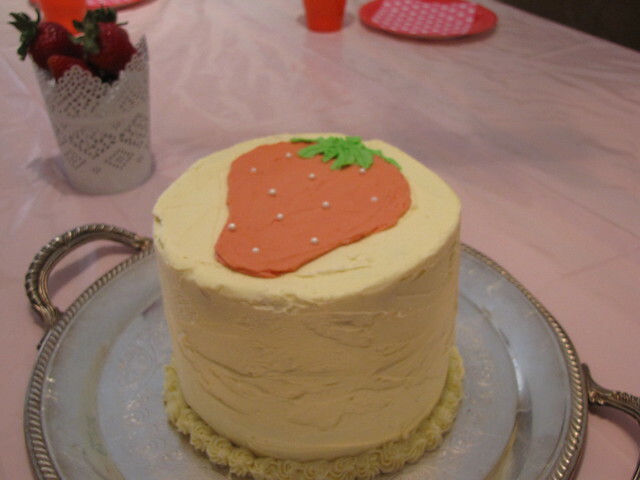 I simple, rustically frosted cake with a simple, single strawberry on top. The cake was a doozy, high thing with 5 layers (2 chocolate, one vanilla chocolate chip, one funfetti, and one strawberry layer). The food & drinks were easy to dream up. 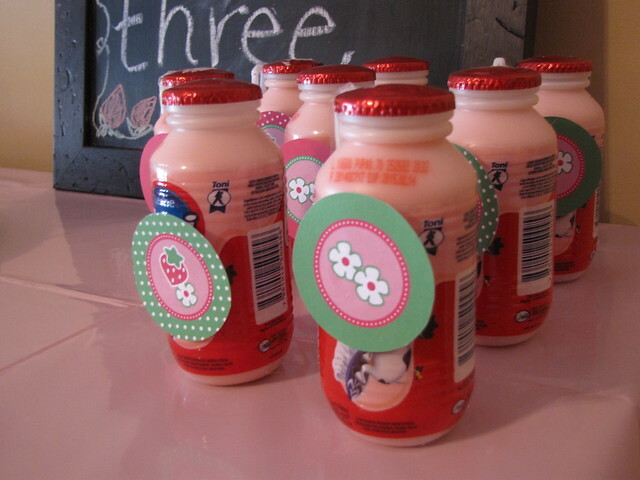 Strawberry milk for the kids and strawberry, pineapple punch for the adults. 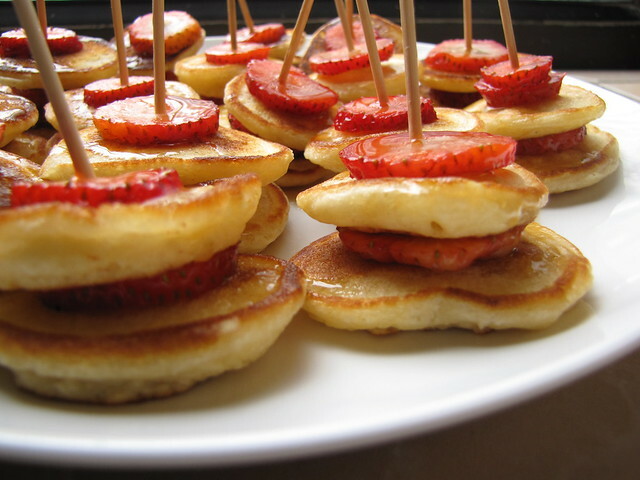 Pretzel pizza bites for all, a savory strawberry, basil, honey & brie crostini for the adult palate and mini strawberry pancakes with maple syrup on skewers for the picky littles. 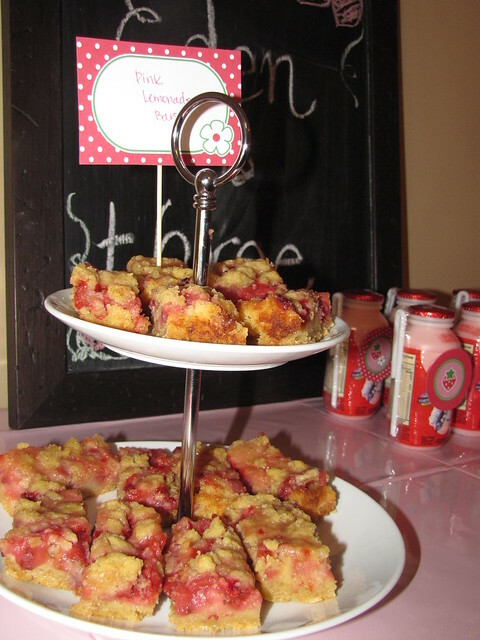 Strawberry lemonade bars rounded out the simple menu and all left full. 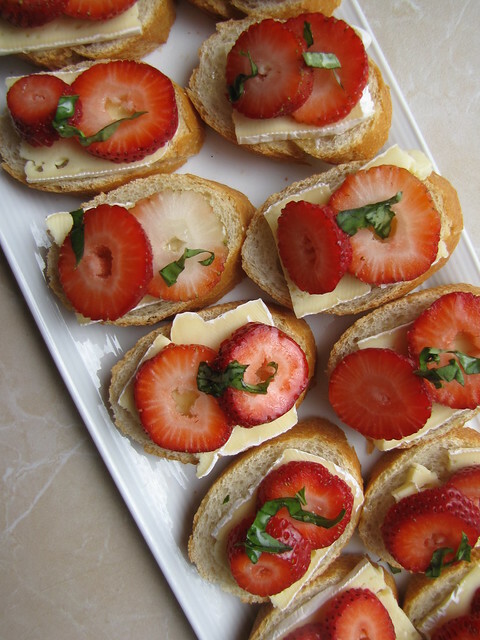 I appreciated being able to do some appetizers that are a bit more labor intensive because I was only making 25 or so of each. The birthday girl had a blast! She woke up from her nap and before she knew it her home was full of friends. 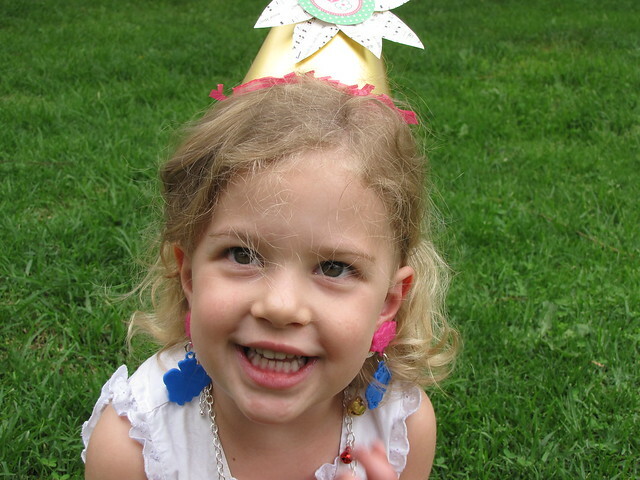 She wore her strawberry shortcake shirt, her birthday hat and Peppa the Pig earrings. 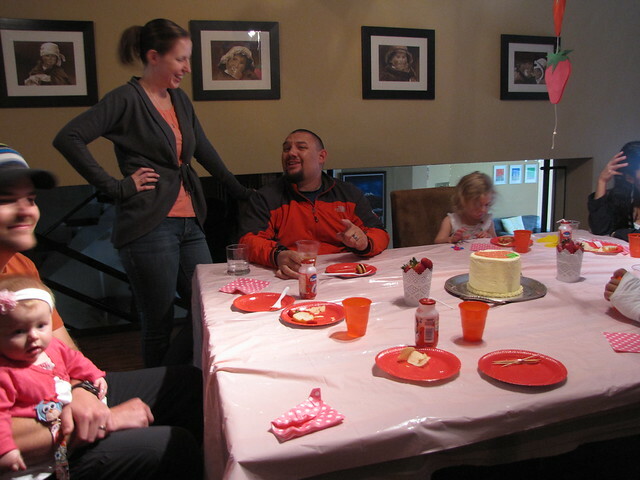 She ate like the foodie she is, staying at the table long after the other kids were up and running around. 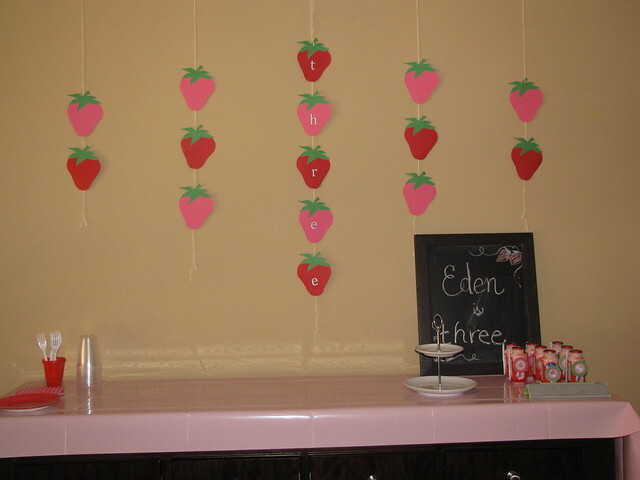 She loved Pin the Stem on the Strawberry, didn't quite get the point of "Hot Strawberry" (like Hot Potato but with a strawberry) but loved it anyway and danced right along all the other kids doing the "Freeze Dance" game. 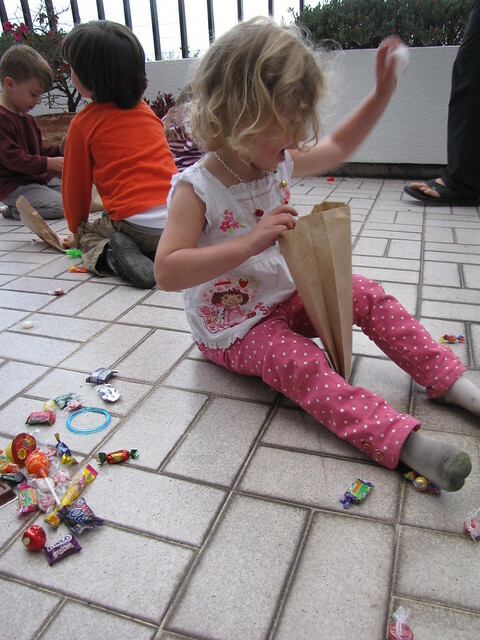 She laughed and giggled and hit her pinata with determination. 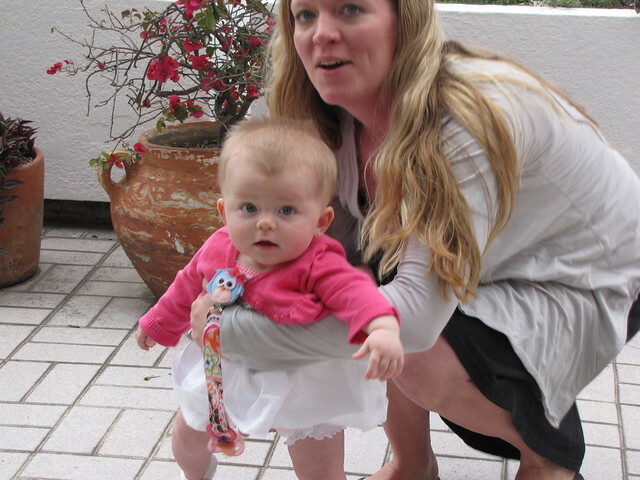 She was successful as the strawberry pinata was pretty flimsily constructed by me just the night before. She loved having everyone sing to her and looked around with big eyes at everyone who was watching and singing to her. 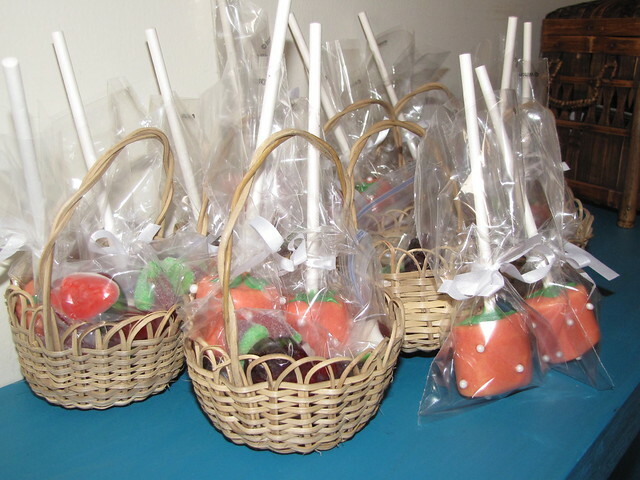 And she was so happy to share a basket of treats with friends as they left. 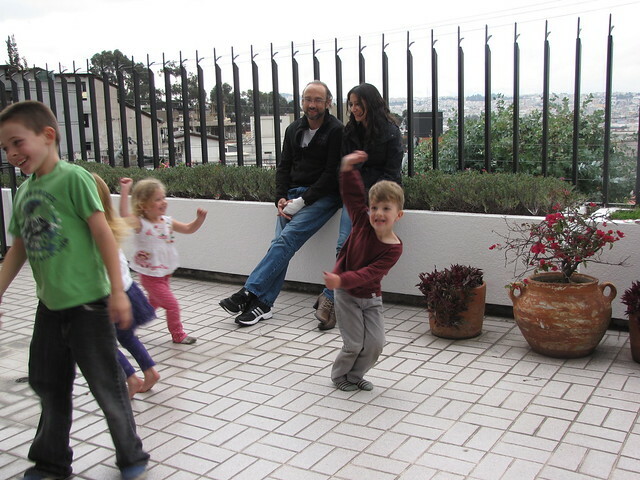 We ended the evening with four kids instead of two as the Passmore parents hadn't found a sitter for a party. So it was an extra special treat to have Zeke and Damari go to sleep at our house with them that night. 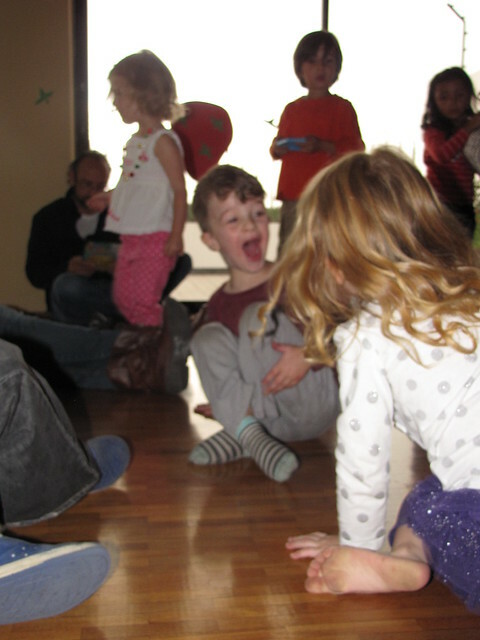 This is blurry but the expression on C's face is what he wore pretty much the whole party. okay I am dying over Canaan's hair. I love it. 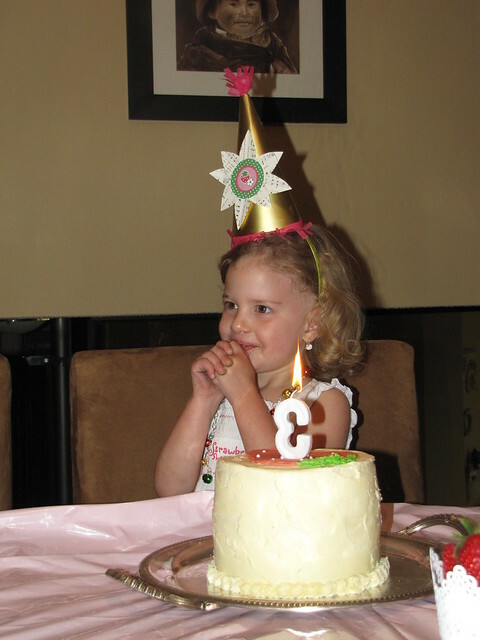 I wanted to eat all that food and Eden looked adorable in front of her cake. 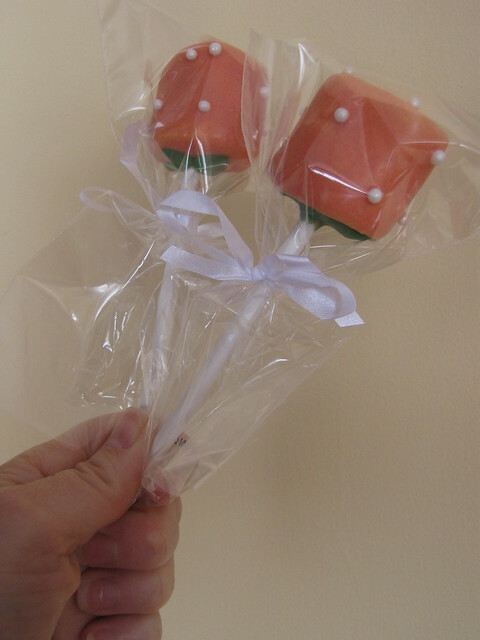 You are certainly detail orientated with your party preparation. 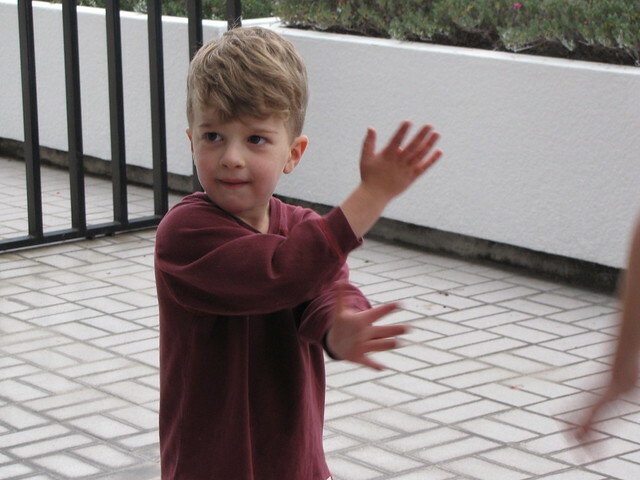 Looked fun! 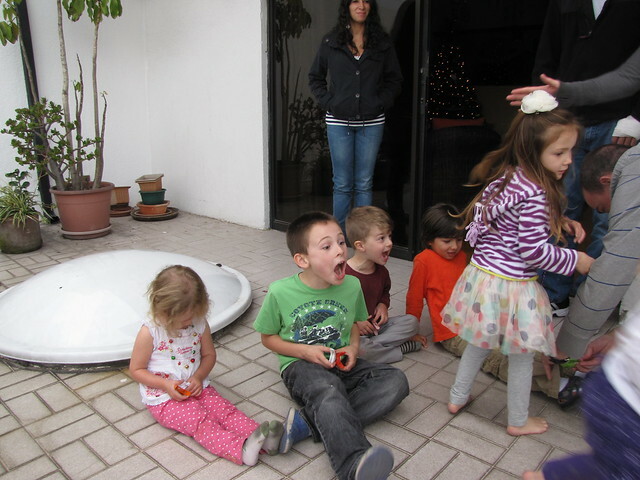 Love the expressions on C's and E's faces.